Ruth Moor, originally from Louisiana, moved to Texas with her husband Remy in 1985. They relocated to Burleson in 1995 to enjoy country living and raise their 2 girls, Caitlin and Brennan. In 2012 Ruth’s family grew to include her first granddaughter Kori. A veteran of the promotional marketing industry for over three decades, Ruth currently works with Gonzo Strategies to provide branded promotional products for businesses and non-profits seeking to promote themselves and their events. Her experience in the industry gives her customer’s an advantage to make their next project a success. 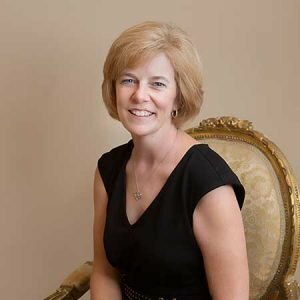 Ruth has been an active member of the Burleson Area Chamber of Commerce since 2004 and has served on the Board of Directors and has been a Chamber Ambassador since 2007. She takes pride in sharing her network connections with others to promote local businesses in Burleson. A woman of strong faith, Ruth has been a member of Pathway Church in Burleson since 2000 and she has taught Sunday school, participated in youth mission trips, supported the Harvest House (an organization dedicated to providing food, clothing, necessary goods to the community), worked behind the scenes at summer Vacation Bible School, and currently serving on a guest services team. Being chosen as the 2008 recipient of the ATHENA Award has given Ruth the opportunity to use her experience and connections within the Burleson area to help an even wider range of people in need.